The cap badge is attributed to Craftsman Roy Bryson. 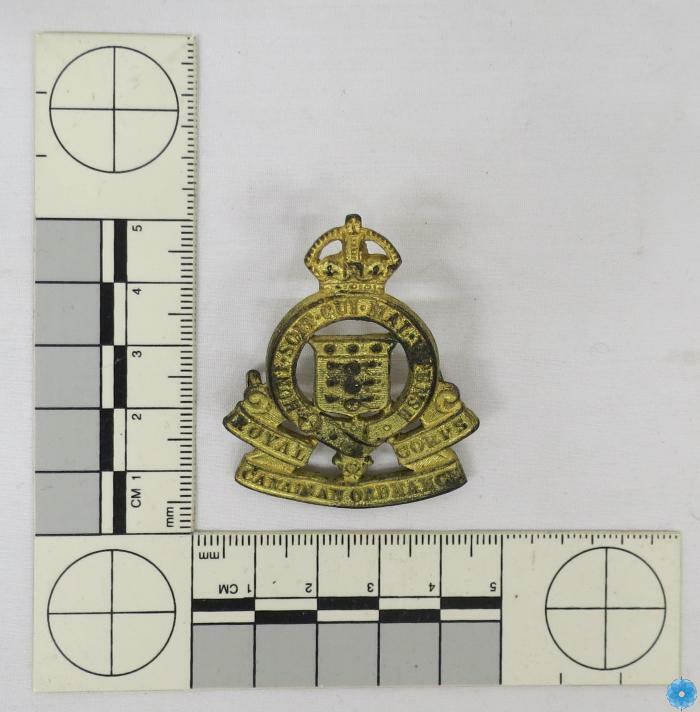 Description: A Royal Canadian Ordnance Corps cap badge comprised of a circular banner with a shield at the centre containing three cannonballs and three cannons, and text in the banner reading "HONI SOIT QUI MAL Y PENSE", the banner surmounted by a king's crown, and a scrolled banner at bottom reading "ROYAL CANADIAN ORDNANCE CORPS"; two pin holders on back. Attributed to a named soldier.